Brad Daniel is a Director at BMC Group, an information management firm specializing in financial and legal transaction support. He has 25 years of restructuring experience, with a broad exposure to all aspects of bankruptcy case administration and reorganized-company/trustee support. 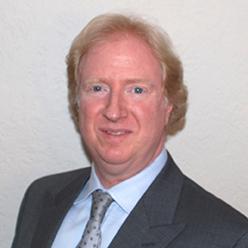 His expertise in both bankruptcy legal matters as well as systems integration and rapid application development combined to help catapult him to the top of his field, and since the late 1990s he has led the technology and data conversion teams for dozens of mega and high profile bankruptcy cases. Mr. Daniel specializes in the consultative aspects of case administration--such as Schedule and SOFA preparation, preference analysis, solicitation, securities issues, reserve analysis, trust administration, and distribution. He also serves as the project lead on a number of restructuring engagements and manages many of the operational aspects of BMC's legal services division. Mr. Daniel is also editor-in-chief of www.commercialbankruptcyalternatives.com, www.commercialbankruptcylitigation.com, and www.commercialbankruptcyinvestor.com, which feature short articles on commercial insolvency-related topics, written in plain English for non-specialists. The “A&P” Chapter 22 Bankruptcy Saga—Anomaly or Canary in a Coal Mine? ABI Commission Report on Chapter 11 Reforms—More Hope in Sight for the Little Guy?